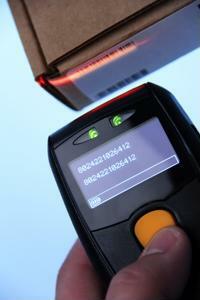 The invention of the barcode allowed for retail sourcing to become more efficient. Barcodes are prevalent in nearly ever industry, and they are scanned more than 5 billion times per day worldwide, according to Supply Chain Digital. Global standardization of barcodes has allowed organizations across all industries in many different countries to achieve greater efficiency and scale. GS1, the nonprofit standards organization for barcodes, intends to adapt identifications within a product's barcode to allow for customers to enter codes and learn more information about a product online. Barcodes will need to continue to advance as retailers increasingly move toward omni-channel approaches. Omni-channel retailing involves creating a seamless shopping experience for customers across all channels, such as internet shopping, mobile searches and brick-and-mortar store locations. United Kingdom retailers are making the transition to the omni-channel model, and it is expected to dramatically change retail logistics and sourcing, Supply Chain Standard reported. The trend is being bolstered by increases to online shopping. Some retailers are implementing radio frequency identification (RFID) programs to improve retail sourcing, including Bloomingdale's and Macy's. RFID has received a great deal of buzz for being revolutionary technology for retail management, according to California Apparel News. RFID sensors can be embedded in hang tags for individual items and scanned by sales associates. The information for each item would then be entered into an inventory index. However, RFID technology was prohibitively expensive since it was created because it requires a great deal of hardware and software. Another issue preventing RFID technology from reaching wider use is it can only function in a closed system where retailers have control of sourcing, the source said. Retailers with multiple vendors cannot achieve the promised efficiency results. RFID could allow retailers to keep track of inventory instead of performing tedious cycle counts twice per year.